It comes in a paper packaging with a simple, clean but so informative design. Each pack consists of 5 + 1 face masks. Actually it has 20 variants based on the essence. 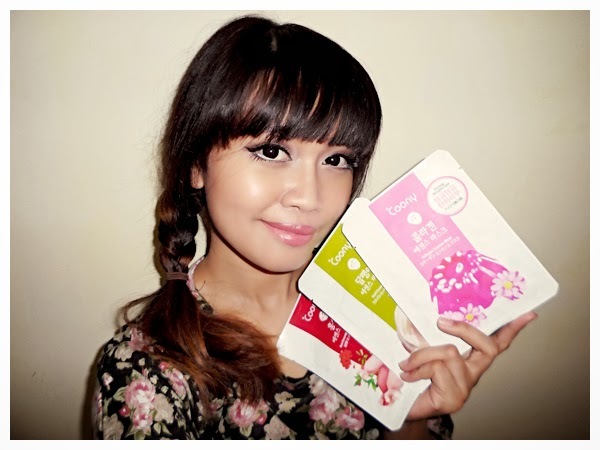 I got 3 variants (left to right); Red Ginseng, Collagen and Snail, 2 of each type. These variants are recommended for a person who has sensitive skin with acne problem like me. Red Ginseng Warm and nourish the tired skin, help capillaries smoother, recovering healthy and radiant complex. Collagen Firm the skin tight, reduce wrinkles and the signs of aging, holding more moisture inside cells, looking younger and radiant. Snail is suppose to heal and calm our skin down along with moisturizing it. 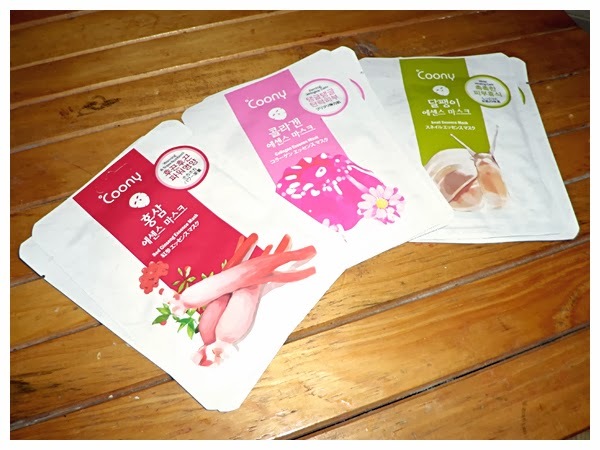 The mask sheet is very wet because it contains lots of essence with a mild-relaxing scent based on variants. 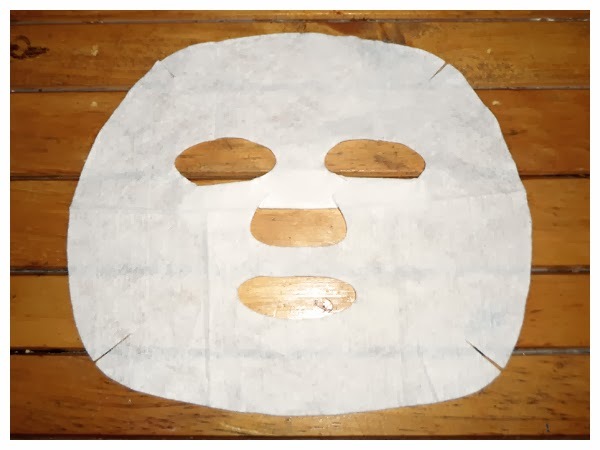 The size is quite wide so it can cover the whole face area. Store it in a refrigerator. It works more effective when the mask is cool. Overall I really love these masks!!! It doesn't cure acne instantly, but it's great for pampering my tired skin. No wonder if it is very popular ^^ Highly recommended! 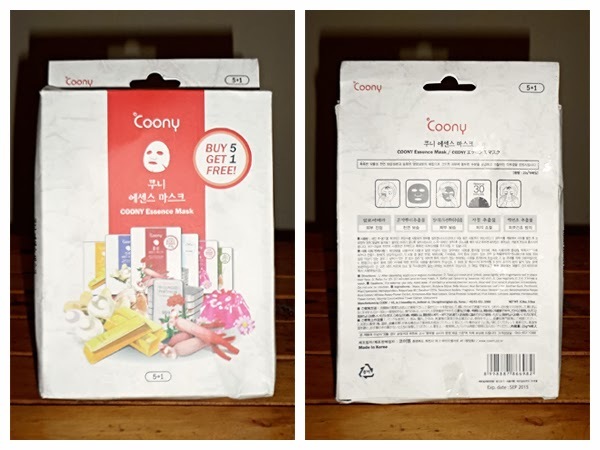 By the way.. in case you want to try it but so hard to find it anywhere, you can call Coony's Facial Mask personal number: +6287888778282. I hope this review helps =D See ya!